An effervescent energy multivitamin to help support mental sharpness and physical energy throughout the day. 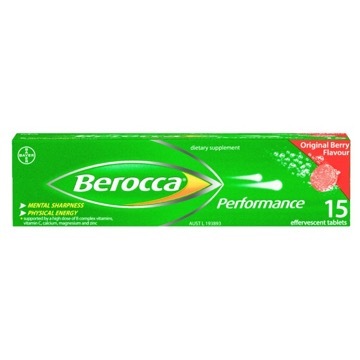 Berocca Energy Vitamin is a unique combination of B vitamins, vitamin C and essential minerals, like calcium, magnesium, and zinc, which work to support your mental sharpness and physical energy throughout the day. Specifically created to give you the edge when leading a busy or active lifestyle and contains no artificial flavours or preservatives. - Energy vitamin with a high dose of B vitamins. - Great tasting Original Berry flavour. - Suitable for everyday use. 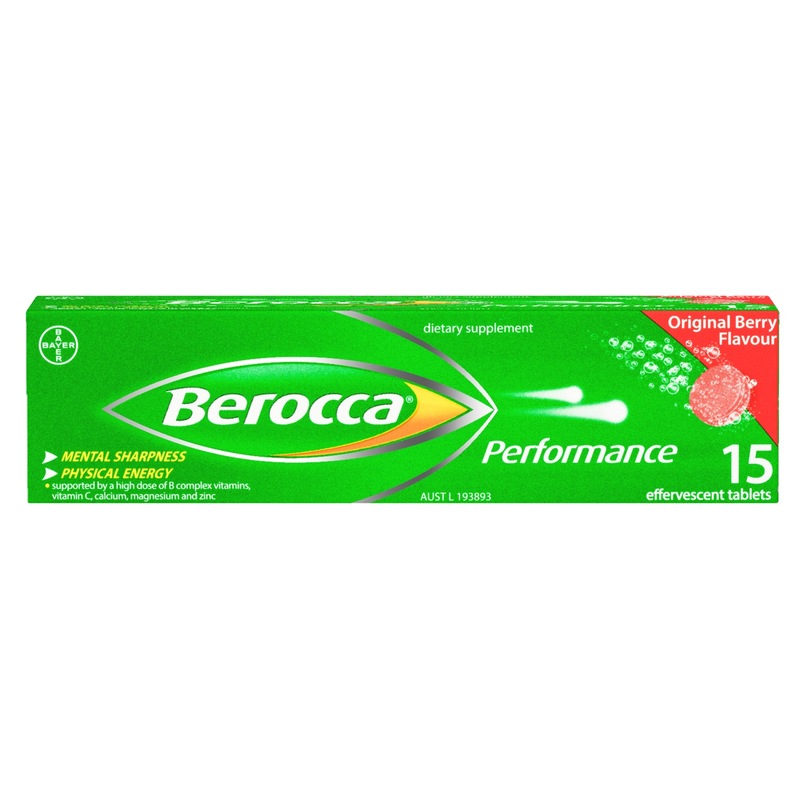 - Helps improve alertness and concentration. - Helps improve physical stamina and reduce tiredness and fatigue. - Helps enhance mental performance. - Helps improve mood and reduce tiredness. Product Claims: Does not contain sugar, caffeine, gluten or artificial stimulants. Each tablet contains 287mg of sodium. Contains aspartame. Phenylketonurics are warned that this product contains phenylalanine. Vitamin supplements should not replace a balanced diet. Adults and children over 12, 1 tablet dissolved in a glass of water. Take daily or directed by your healthcare professional. Store below 25°C. Keep the tube tightly closed in a cool dry place.